Soon you'll be able to listen to music via Deezer through your Google Home smart speaker, and you'll be able to control playback entirely through your voice. On the surface this might not seem like the most interesting of announcements. After all, the smart speaker already supports Spotify, and since the voice commands are likely to be identical why would you care whether your music is being streamed from Deezer's servers instead? The difference is that Deezer has an excellent feature called 'Flow', which dynamically builds playlists based on your pre-existing music-listening habits. Simply ask your Google Home speaker to 'Play my Flow' and it will dynamically generate a playlist based on your existing listening preferences. You can also sculpt your Flow playlist through your Google Home by telling it which songs you do and don't like to allow it to better learn your preferences over time. We think this has the potential to work excellently through the Google Home speaker where it can be a hassle to try and name specific artists or songs. 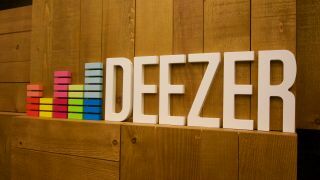 But even more cleverly is that Deezer will integrate with Google's voice recognition system to understand who's asking for their Flow, and to personalise its playlist accordingly. Of course, if you'd like to play music the traditional way then you'll also be able to select songs and artists manually using your voice. Deezer for Google Home is currently available in Germany and France, and will be coming to the US, UK and Australia 'later this year'.